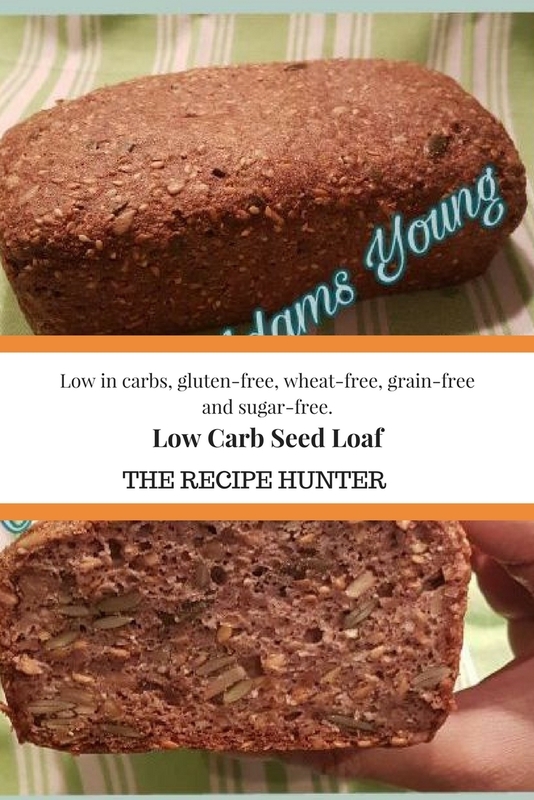 This seed loaf is not only low in carbs but is gluten-free, wheat-free, grain-free and sugar-free. Combine all the dry ingredients together in a food processor and pulse roughly. I just pulse long enough to break the seeds a bit smaller, as I like the texture of the seeds. Stir the melted butter, apple cider vinegar and eggs together then add the warm water. Combine the dry and wet ingredients then stir until well mixed. Leave to rest for 10 mins for the mixture to thicken. Scoop into a greased mini loaf tin or shape as you like on greased baking paper. Bake at 180C for 35 – 45 minutes. Insert a skewer or toothpick into the center of the bread. If it comes out clean it’s done.